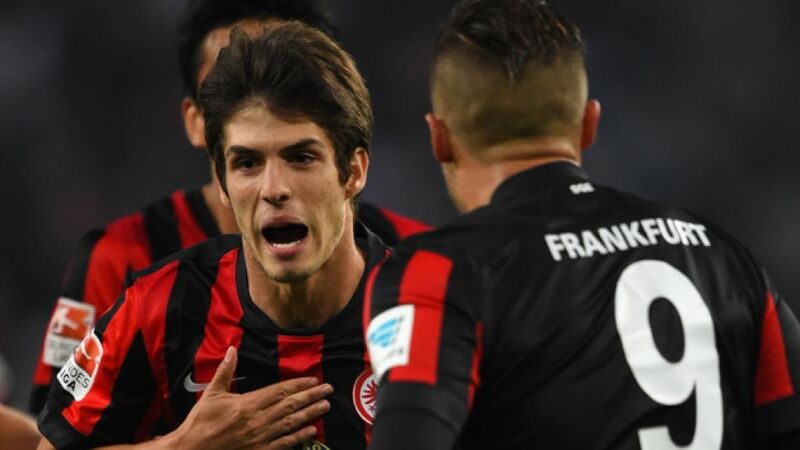 Cologne - Lucas Piazon’s stunning free-kick was the rather obvious choice for Matchday 6's Goal of the Week. The Eintracht Frankfurt winger fired an unstoppable rocket past Jaroslav Drobny from 30 metres out to secure his side a last-gasp 2-1 win away to Hamburger SV, just four minutes after coming on as a substitute at the Imtech Arena, to secure a staggering 82 per cent of the bundesliga.com readers’ votes. Piazon’s wonder strike was voted ahead of Ivica Olic’s superb second-half header in VfL Wolfsburg’s win at home to SV Werder Bremen (6 per cent), Eric Maxim Choupo-Moting’s opener in FC Schalke 04's Revierderby victory against Borussia Dortmund (5), Wolfsburg left-back Ricardo Rodriguez’s belter (4) and Jens Wemmer’s goal for SC Paderborn against Borussia Mönchengladbach (3).